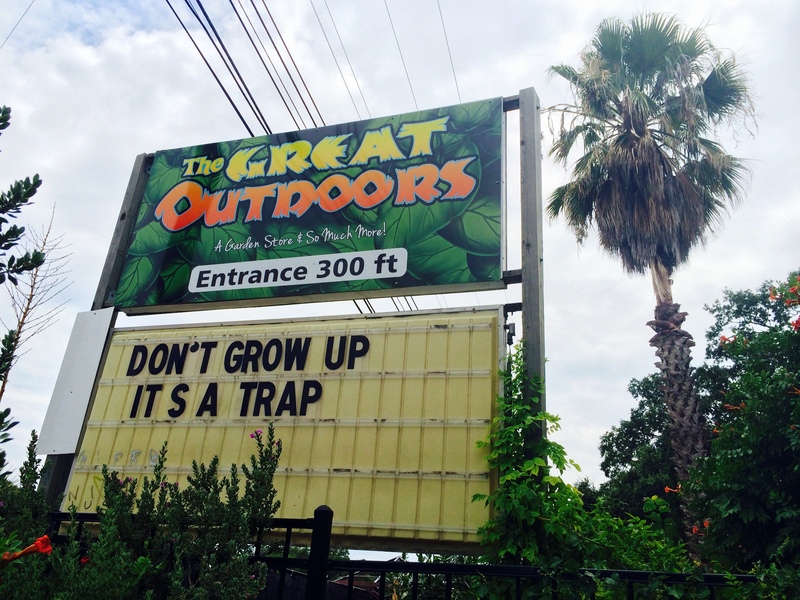 Driving down S Congress the other day, I laughed out loud in my car (all by myself) as I passed by this The Great Outdoors marquee, reminding us that being a grown up isn’t as cool as we all thought it would be when we were youngins’. (Although, most of the “adults” I know still laugh at poop jokes). Thank you, The Great Outdoors, for keeping things weird and being part of what I love so much about Austin and preaching against growing up. What is your favorite local marquee? How do you feel about growing up/poop jokes?